Check out this lot that is perfect for camping or ready to build on! Ready to build or camp? This 50' all sports Wixom Lake waterfront lot is ready for you! Located in a desirable neighborhood this lot is completely ready to build on. Newer engineered septic, 5" well, steel seawall, electric on site and storage shed! Natural gas is available at the paved street. Sloping lot is perfect to accommodate a walk out basement home. 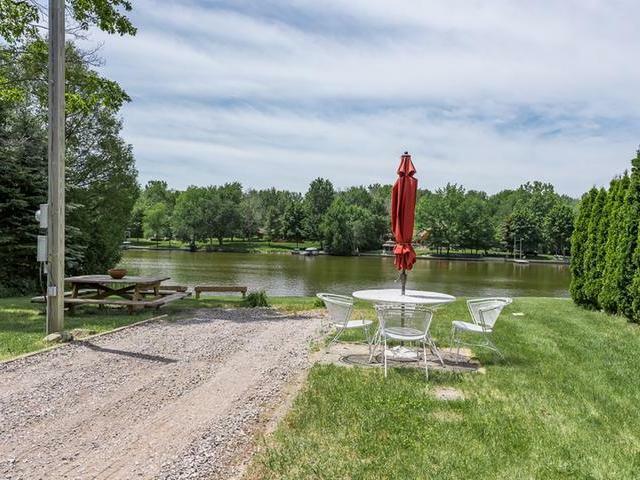 Gorgeous views of Wixom Lake invite you to hop on your boat for a relaxing day on the lake! Enjoy the 2,000 acre lake and all the recreation that comes with that; fishing, boating, jet skiing, kayaking and more! The neighborhood consists of 3 dead end streets so you can be active - take walks, bike rides or ride along on your golf cart and visit the neighbors! For more information or to view other listings, click here! Hi Sonya, This looks like a great opportunity for an outdoor enthusiast to build a dream home. I am sure you will find a buyer soon. Congratulations on your new listing. Nice lot and nice job with your presentation.